Quiet, efficient air conditioning! Spring Special in Paradise! Book Now! Paradise begins on the leeward shores of the tropical island of Maui in the sunny resort community of South Kihei across from popular Kamaole III Beach. There you will experience a luxurious vacation at our fully equipped two bedroom executive villa style condo at one of Kihei's newest resorts, renowned Maui Kamaole in the Jasmine complex. For romantics that visit, you will enjoy from the privacy of your lanai - a scenic view of the majestic Pacific Ocean by day, in the evening another Maui sunset, to be later dazzled by the endless performance of the equatorial stars. Your vacation hideaway features a quiet, spacious, well-decorated contemporary two-bedroom, two-bath luxury condo vaulted ceiling, extra view windows, new air conditioning, a new awning on the lanai, decorator ceiling fans and a 46' HD home theater system. For your comfort and ease, enjoy a modern, fully equipped kitchen, wine fridge, washer/dryer. We have complimentary, secure high speed wireless internet (WiFi). At days end retire to the Master Bedroom with ensuite and private lanai. There is a second bedroom for the privacy of your family or guests. While vacationing in this quiet, relaxing modern resort you will enjoy the terraced twenty-three acres featuring two pools, tennis courts, immaculate tropical gardens with a multitude of Hawaiian flowers, palm trees and exotic native birds. You are a stroll from Kamaole III, Keawakapu, Mokapu and Ulua Beaches where you will enjoy miles of protected sandy beaches for swimming, snorkeling, sunning, seasonal whale watching and dramatic sunsets. You are conveniently located near shopping, restaurants, golf and other scenic attractions. Keywords: A Private Executive Villa Style Condominium with many Specialized Boutique Features & Amenities - 2 Level, Vaulted Ceiling with Complimentary Ocean Views. Our guests will enjoy extra ocean views from Dining Area & Master Bedroom! Daily/Weekly Housekeeping is available. Free Secure High Speed Wireless Internet (WiFi) is provided. Aloha, my husband and I have enjoyed living and vacationing in Maui since 1994. Our mainland home is in Calgary at the foothills of the Canadian Rockies. The tropical paradise of Maui has provided many special memories for our family over the years including some very active vacations packed with fun-filled recreational activities such as golf, snorkeling, surfing, kayaking, cycling and hiking while still providing ample time for just relaxing and marveling at the beauty of this garden isle. Some of our Maui favorites are swimming in the ocean, the white sand beaches, lounging at the pool, chasing after post card sunrises and sunsets, endless beach walks, whale watching, strolling through the shops, savoring a cup of Kona coffee, indulging in superb dining or just staying in and enjoying our luxurious Maui home. Over the years, we have become life long friends with many visitors to Maui that we have met from around the world as well as many Maui residents. We are happiest when we are in Maui, which has become our 'tropical home away from home'. We fell in love with Maui Kamaole resort for our vacation home away from home because of the spectacular views and tropical gardens, privacy, peace and quiet and convenience to everything that we enjoy. The property features a modern villa style luxury condo that offers all the conveniences of home and is ideally located in south Kihei. Maui Kamaole is truly a Maui hidden gem featuring beautifully maintained gardens, majestic ocean views, abundant amenities and easy access to beaches, golf, restaurants, dining and shopping all within walking distance. The property also boasts two pools, a traditional and a tropical pool, each with a hot tub and two tennis courts. A quiet, spacious, modern, villa style, top floor, lofted two bedroom, two bath featuring master ensuite with lanai that offers privacy for couples or families with children. As an end condo in the Jasmine complex, our villa style condo provides a spectacular lanai and living area view of the gardens, ocean and swimming pool including views of the ocean and West Maui from the dining room and master bedroom. For convenience it is strategically located on the property near the beach but between the two pools and BBQ areas. Ideal for vacation spot for honeymooners, special anniversary or birthday getaways, privacy for two couples or a family vacation with children. Combination Tuner, Blu Ray, DVD and CD. Beautifully appointed gardens, flowers and grounds. Quiet, Spacious, Well Decorated Contemporary Two Story, Vaulted Ceiling, Two Bedroom, Two Bath Luxury Condo, Air Conditioned with Decorator Ceiling Fans and a 46' HD Home Theater. Modern Fully Equipped Kitchen with Wine Fridge. Master Bedroom with Ensuite, TV, DVD and Private Lanai. Very Private, Quiet, Relaxing Modern Resort Featuring a Main Pool and Hot Tub, a Tropical Pool and Jacuzzi, Tennis Courts, Immaculate Tropical Gardens with Multitude of Hawaiian Flowers, Palm Trees and Exotic Native Birds. We enjoyed this condo during February 2019. Everything about it was excellent. We know this complex well and this particular unit was quiet and had a lovely view directly out to sunset and toward Maalaea Bay. We were a family of 6 adults and the condo accommodated us well. While we only needed the AC on one day, it was excellent. There were plenty of supplies in the kitchen for 6 of us and I have never seen so many wine glasses in a unit. Fantastic! The wine fridge is a nice bonus. It is a short walk to the upper pool and just slightly longer to the main pool. The upper pool is recommended unless you have small children. It is well worth heading down to the grass areas in either direction from the complex to catch those special Maui sunsets. We can’t wait to return! Patty looked after us very well during our stay including a lovely goody bag on arrival. The condo has all the amenities, well stocked kitchen and beach chairs/towels/boogie boards. Everything was cleaned and ready for our arrival. The location of the unit is great, away from the noise of the main street and close to beaches. Mahalo for your lovely review. I'm glad you enjoyed our condo and found everything you needed for your vacation! Mahalo for being such an excellent guest! 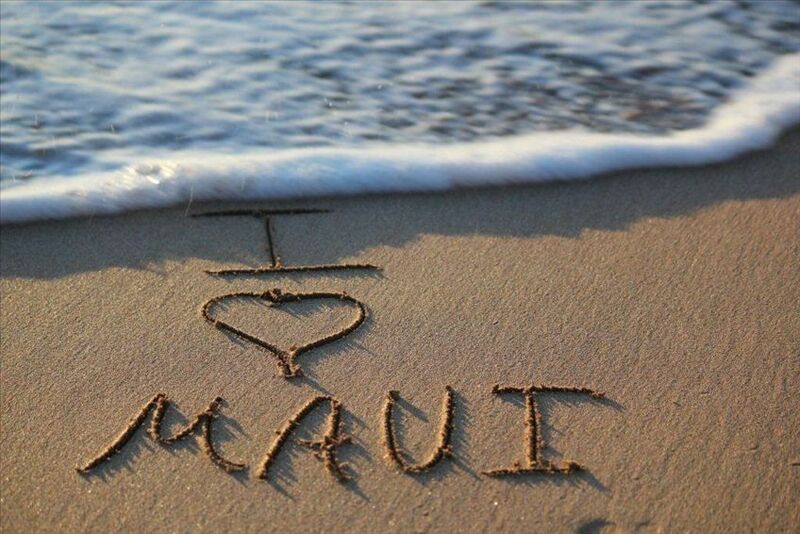 We look forward to your return on another vacation to Maui! Everything about Patty's place is excellent! It's spacious, clean and nicely furnished in a great complex located in a great part of Kihei right across the street from the beach. We really appreciated how well the kitchen was equipped with lots of accessories, condiments, spices, etc. The best we've experienced at a VRBO. Patty is great at communicating quickly which is always a plus. Mahalo! I’m very happy that you enjoyed your stay and found the condo so comfortable. I hope to have you return for another visit to Maui! Thank you so much for sharing your place! We had an amazing vacation. Your place had everything we needed. It was awesome to have use of the chairs and beach toys and boogie boards. The complex is convenient to everything but felt private and secluded with the little drive up hill through the complex. Mahalo! I’m glad you enjoyed your stay and enjoyed all the conviences of the condo. We can not say enough good things about this condo! It is so clean, so comfortable, so well stocked. You literally just need to pack your clothes. Early mornings on the lanai overlooking the immaculately kept grounds and listening to all the bird songs just fills one with such calmness. Watching the beautiful Hawaiian sunsets from that same lanai is nothing but breathtaking. The location of the condo is perfect - away from the busy road, but still close enough to walk to the beach. We will never have to look for condos to rent again - we will be back to this one! Aloha, I am so happy to heart that you enjoyed Maui, the condo and the grounds. It is truly is heaven on earth. I look forward to having you return on another visit. 2 Tennis Courts On-site near condo!